New Delhi: As many as 31 schools and 110 government buildings have been damaged in Kashmir Valley since the current unrest began four months ago. 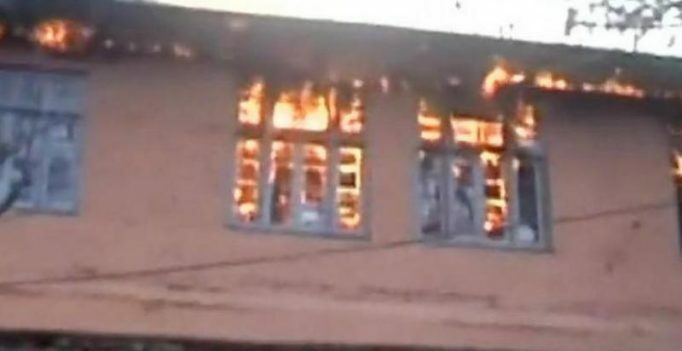 Among the schools, which were set ablaze by unknown persons, 25 were government-run, two private and four were run by trusts or other social organisations, official sources said. Out of the 110 government buildings, 65 were either completely gutted or partially burnt down and 55 were damaged through “other means”. Over the past few months, miscreants burnt down schools across the Valley which is in the grip of unrest following the killing of militant commander Burhan Wani in an encounter on July 8. Amid outrage over the issue, the Jammu and Kashmir High Court took suo motu cognisance of this development and asked the state government to take steps to prevent such incidents and “unmask” to culprits. The Centre had also earlier this week asked the Mehbooba Mufti government to check such attempts and make efforts for reopening the schools which have been closed since July 9.